As a famous saying goes, “You have to make sure people enjoy coming to work,” it is the duty of the proprietors of the business to build a comfortable and aesthetically appealing workspace for their staff. You can be creative and implement new ideas that please your employees and make them work without boring. It is human psychology, that we get easily attracted to the things that are visually tempting. So making your working or commercial space comfy and enjoyable for your personnel is the chief thing to be carried out. This can be accomplished by making use of retractable roof awnings Sydney in your business centre. The retractable awning Sydney prices are affordable and add designs to your commercial space. This blog explains how the retractable awnings significantly improve your business. An appealing outdoors of a commercial property draws more customers thus increasing your income. For example, a beautifully decorated patio with a retractable awning in a restaurant accommodates more people, thus opening the door for bigger profits. Inclement weather conditions affect the customer’s experience in your commercial property. Either a waterproof retractable awnings Sydney or ordinary retractable awnings are deployed to safeguard your customers from harsh weathers and to improve your client’s mood and overall opinion about your business. Awnings add a bright, unique, aesthetic flair to your business and protect your space from the glaring sun, without sacrificing the natural light. Your brand name is a unique identifier of your to this world. The awnings convey your brand to the public in the best way possible. A well established great commercial patio awning serves as the perfect platform to showcase your brand’s logo and name. Also, these awnings act as a main landmark by increasing your company’s visibility, thus attracting new customers to your location. The retractable awnings not only make your staffs feel comfortable but also catch the attention of the passers-by. For example, a busy restaurant or bar will naturally spark curiosity and encourage first-time visitors to join in. Thus awnings help in drawing the crowd. These days social media act as an excellent tool for any types of business. A unique outdoor ambiance will create a buzz around town, likely attracting social media users, who quickly become your revenue boosters. Retractable awnings are pocket-friendly. They minimise the heat gain which in turn helps to reduce the air conditioner usage. Thus retractable awnings help you save money, offer a better outlook and attract more customers for your business. T.S. Eliot says that’’ Home is where one starts from.’’ Yes, whatever are we today is due to our home. So home plays a vital role in man’s life. Beautifying your home reflects your personality. Decorating the home has been practiced since human civilisation. These days due to modernisation, we deploy a wide variety of things with the latest techniques to decorate our home. And one among them is the retractable roof Sydney. Let’s see in detail about the retractable roofs and few tips regarding it. Retractable awnings provide enough space for your family to relax, dine or have fun. Retractable awnings don’t block the sunlight totally, but allows the necessary light required and prevents the harmful radiations. The retractable pergola Sydney gives your home a luxury and elegant look. The retractable awnings are made with the fabrics that don’t fade with the prolonged exposure to weather conditions. You can host a party at your home at any time and no need to worry about the weather forecast. Even if there is rain, you can enjoy your party without any intervention. The motors deployed in the retractable awnings consume only less amount of power and some version of retractable awnings make use of the solar energy for its operations. The retractable awnings can be deployed anywhere and at any time. They are handy and provide shade in the areas where you don’t have any proper shading options. Retractable awnings these days come with the inbuilt lighting options. So you can have rocking parties at night with these beautiful light effects. Generally, retractable awnings are made of fabrics or aluminium. Aluminium can’t be customised, and the draperies need more maintenance. So select the material based on your comfort for maintenance. The angle selection exhibits the overall performance of your awning, i.e. the volume of sun rays allowed to fall inside the shading. Side panels add an architectural feel to your canopy. Based on the need of your coverage, you could position the side panels. Select the appropriate size and style based upon the awning’s utility purpose. The colour should complement the place where the awning is deployed. So enjoy, have fun and be comfortable with the retractable awnings! If you are planning to expand your business space in a cost-effective way, then retractable roof systems are a perfect choice. Installing retractable roof systems is an excellent way to expand your business space without having to construct a new structure. A slimline structure, high wind ratings, and a contemporary design that is functional are the primary reasons why most of the business owners prefer retractable roof systems. Not only the retractable roof systems in Sydney help extend the outdoor space, but it also looks fantastic. Yes, they are visually stunning! There is a wide range of colours and fabrics which are aesthetically pleasing with a certain style that suits fine dining and outdoor entertainment. How does a retractable roof system in Sydney work? The retractable roof system is supported by a series of cross battens and they are connected to a set of rafters. With a simple belt drive and a remote-controlled motor, the cross battens are pulled back and forth to either end. When they are extended, the fabric gives maximum protection and can withstand high winds. It provides high levels of protection from natural elements, while still letting natural light through. Each roof system comes with its support frame, and it can be retrofitted to suit the existing structure which is why they are considered to be as the most affordable option to expand the outdoor space. These versatile roof systems make a good first impression as well. Why install retractable roof system? Space is essential for any business. For example, if you own a restaurant, the more space you have, the more potential it adds for business to flow through. You can set up an outdoor dining area which will add value to your business based on the weather condition. If the patio is covered with an attractive roof system, you can attract more customers who want to enjoy their dining in an open space rather than sitting in a closed environment. When it is too hot outside, the interior structure can become hot that you may need to run the air conditioners throughout the day. Besides, during the winter season, you should use the heaters to heat the room. By choosing a small area in your business space to install a retractable awning, you can save few bucks on your energy bills. Relishing the alfresco life is one of the biggest loves everyone will enjoy! So when it comes to your outdoor area, there is no other choice to get the most out of your space than with versatile and chic retractable roof awnings. With tons of uses and less maintenance, they are a handy and practical solution for a comfortable alfresco that at the whole family can relish. Are Retractable Awnings right for me? There are many parts of the world where they have realised that retractable awnings offer a multitude of fantastic attributes that help people to get the most out of there outdoor space. Retractable awnings add space and cool shelter protecting from the hot sun. So are you wondering if your home could benefit from retractable awnings? Here are some of the many benefits these awnings provide which can help you! Enhance your Outdoor Dining experience! When the sun shines high, the retractable awnings will allow you to enjoy your space in comfort. With a retractable roof awning installed, you can enjoy having meals or a drink on your outdoor space with friends and family. Most homeowners do not take advantage of their outdoor spaces unless they realise how enjoyable it is. When utilised properly, the retractable awnings can help homeowners extend their overall living space. It will create a protected and defined outdoor area where one can enjoy with friends and families during summer, spring, fall or winter. When the weather around turns wet, retractable roof awnings will keep everyone dry! In contrast, when the sun shines high, it keeps everyone protected under the roof. One of the major advantages to choose retractable awnings is that they are flexible. You can choose to have a covered space, but that is not permanent or stationery. You have a choice, and you can easily enjoy your outdoor area just by switching, at all it takes is just a few minutes. Keeps your Patio Furniture Looking new always! A patio is a great place to relax so that we will place furniture there. The temperature keeps changing with seasons, where the harsh sun can damage your furniture, installing affordable retractable awnings prices will block it out and help your valuable furniture last longer. A retractable awning is a good investment that is perfect for summer. The retractable awnings are very easy to use. Especially with folding arm awnings, you can deploy shade in a fraction of second. You can also choose to motorise the awning. With a motorised awning you can also fit wind and rain sensors that can help predict weather conditions automatically raising and lowering the awning. Typically, the retractable awnings will be attached to the house. This means it requires no standing pole that will abstract your view. You don’t have to spend installing poles. Retractable awnings when placed outside, help save on cooling and heating bills. It can also be turned down and stored when they are not in use. They have a much longer lifespan, you don’t have to replace it often. Thus retractable awning is the best choice you can go for when you plan to extend your outdoor space they provide a lot of benefits! In Australia, retractable pergolas are considered to be as the ideal outdoor shading solution. The slimline structure, comfort, smooth operation, high wind ratings, and contemporary design are the significant reasons why retractable pergola canopy is a favourite choice for many homes and business owners in Australia. Not only you will get high levels of weather protection, but also they look fantastic as well. They are visually stunning so that they can provide you artistic feature to your home or business. How does retractable louvre roof work? A retractable louvre roof is a versatile outdoor patio structure which can be adjusted to block out the elements such as rain, sun, etc. or let them in, depending on weather condition and your comfort. A retractable louvre roof consists of a series of rotating structures that can be operated by manually or electronically on demand. When they are opened, it gives you an appearance similar to the standard slotted pergola, and when closed, it creates a shaded area similar to that of a closed-top patio cover. The retractable awnings are made of high-quality aluminium profiles and stainless steel that provides durability and rigidity of the whole construction. As they are equipped with a motor drive, it makes them easy to operate and ideal solution for protection against sun, wind, and rain. Pergola awnings can also be fitted with LED lights to provide maximum comfort during cloudy weather or in the evening. Moreover, sun and wind sensors can also be integrated into the pergola system. Australian weather is unpredictable, and it is harsh too. Whether you want to protect you and your belongings from scorching sun or harsh rain and wind, folding arm awnings can give you complete shade. The awnings are designed in such a way that let you entertain your friends or family in a charming setting to enjoy a backyard barbecue or an evening stargazing. No matter it is summer or the chilly winter, this shading solution allows you to enjoy your time outdoors. This is one of the significant reasons why many choose pergolas. They add value to your property. This simple addition in your home or business shall elevate the attractiveness of your property’s exterior. A retractable pergola can be customised according to your needs. Yes, they offer a customised solution for every outdoor space using high-end materials made to withstand harsh Australian climates. It is designed to integrate functional component such as gutters for water drainage; these shading solutions let style and practicality go hand in hand. Simple but effective; the retractable pergola canopy are a great option to install in your home or business. Being such a versatile product, they are ideal for home patios, backyards, courtyards, and any commercial settings. Tips to Maintain Retractable Awnings! Did you know that the style and look of the outdoors reflect the lifestyle of the people who live indoors? you can transform your outdoors and expand the open space of your home, cafe and business. Add it to your space, and make it suitable for an alfresco living. to your backyard, patios, deck, and garden. Awnings add the contemporary look to outdoors while serving as a better place to relax physically and mentally, after the long working hours. Before installing the retractable awnings to your outdoor, it is important to know about their maintenance. What are the tips for maintaining the retractable roof awning? Even though it provides automatic maintenance and long-lasting durability, there are some primary cares, which an owner should provide to uphold the visual nature of folding arm awnings. Cleaning: it doesn’t require a regular cleaning; while a proper cleaning once a month with water and soap is more than enough to maintain its visual look. Check out for rust: Though they are durable and can withstand any bad weather, long time exposure to water and wind can cause corrosion or rust on your awnings. Hence inspecting them every month will be a reliable choice to maintain its good condition. Tear and wear: check your retractable louvre roof for any damage in the fabric, if found, repair it as soon as possible to prevent it from further damage. Thus, you can maintain the awnings without any efforts. Installation of awnings is also a very simple procedure. This perfect shade solution benefits us in many ways. This addition to your outdoor will create a private space, where you can relax and entertain. 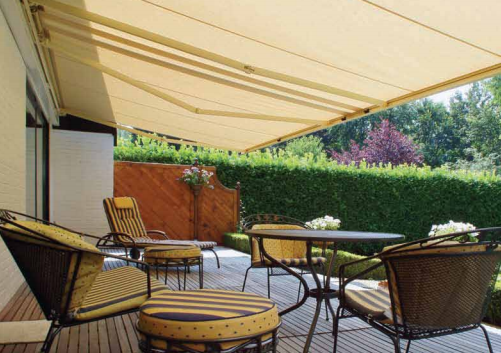 Awnings are adaptable to any weather condition n so that you can rest under the cosy fall and heating up the sun. An ideal thing about awnings is they add style and value to your property. With the use of Automatic temperature control system and remote controllers, you can retract and enjoy the flexibility of the setup. Folding Arm Awnings are the only way to attain comfy without spending a lot on other building designs. Whether you prefer a closed roof system or an open roof supported with columns, these awnings offer a beautiful shaded area, serving per your needs. Add an Aesthetic appearance to your deck with this outdoor revolution. Find the trustable supplier and installer to get a quality awning in your budget! Enjoy Your Outdoor Living Space With Retractable Roof Awnings! “Change Your Life Today. Don’t Gamble On The Future, Act Now, Without Delay”! Awnings are one of the best ways to add an exceptional look to your property. They can offer shade when required and can be retracted when not required. These systems are gaining popularity for their shading option, and saving energy costs. That is, retractable awning systems are specially designed to fit your windows to provide the perfect shading solutions. They also cut down your energy cost and prevent the sun’s rays from fading your floorings and fixtures. Here, experts offer some facts to know about the retractable roof awnings! Some Facts about Retractable Awning Systems! Retractable roof awnings can shield you during the rain and can offer you shade during summer. They can help expand your outdoor living space and reduce the energy costs by blocking the harmful rays of the sun. Also, motorised retractable awnings with sensors notify you to retract the awning when the climate is too breezy. They not only prevent the amount of sunlight penetrating into your home but also help adjust the temperature within your home. Retractable awnings prices are reasonable, and they are available in different colours to enhance the design and appeal of your property. They are specially designed in solid colours with contrasting stripes to offer a trendy look. Retractable awning not only looks great in an outdoor space but also they are flexible and easy to maintain. The fabrics used in the manufacture of retractable awnings are strong enough to withstand extreme weather conditions. They offer excellent fade-resistance to last for a long time. What Do You Know About Folding Arm Awnings? Folding arm awnings offer wonderful flexibility for the property holder to add elegance and functionality to their outdoor living space. These smart solutions can enhance the functionality and appeal of the outdoor spaces. They can cover your entire pool area or outdoor dining. Folding arm retractable awnings can be custom-made to match your lifestyle needs. 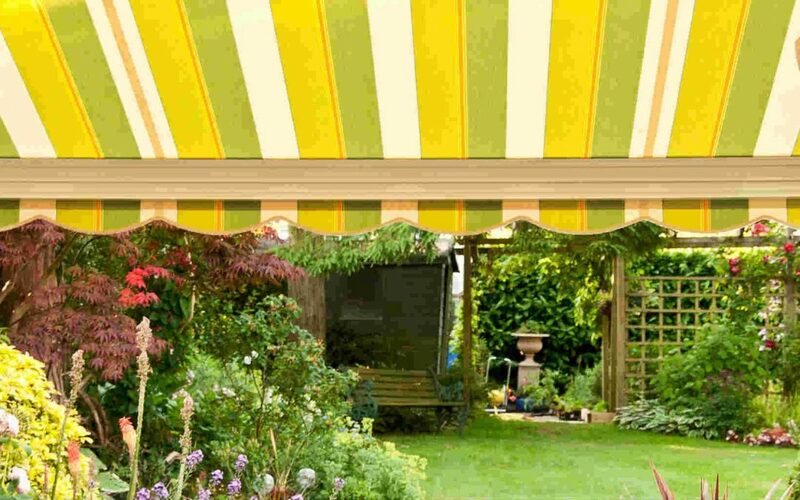 Know The Types Of Folding Arm Awnings! Star Cassette Folding Arm Awning: It’s custom-built with the marine grade aluminium and stainless steel fittings, and they are easy to mount. Full Cassette Folding Arm Awning: Any other outdoor structures can’t match the style and grace of this full cassette awning. They are an excellent addition to any modern home. Semi Folding Arm Awning: They are brilliantly designed to offer stress-free operation. It features with an aluminium casing and cast aluminium end covers. Retractable roof awnings are sturdy and are easy to maintain. They look fantastic for years with less maintenance. They are specially designed to bear extreme weather conditions. They have robust and modernised designs that eliminate the need for rods in expanding the view. They are fabricated from a variety of materials, including aluminium, plastic or canvas. There are numerous styles of retractable awnings to match your home’s décor! Folding Arm Awnings – A Blend Of Style And Flexibility! “Every moment in our lives is a miracle; we should enjoy it rather than ignoring”! If you’re looking for a way to extend the flexibility and style of your outdoor area, consider folding arm awnings! They are flexible and reliable which offers excellent elegance to your outdoor area. Here are some key facts to know everything about the Retractable roof awnings! Know The Types Of Awnings! Full Cassette: They are the best choice when you are in need of elegance. The shallow depth of the cassette helps the awnings to blend perfectly with the frontage of your house. It’s a unique erection to be installed practically on any background. The material is protected against dirt and bad weather when retracted into the cassette. It is suited for both domestic and commercial needs. Semi Folding Arm Awning: They are known for its fashionable design structure. They can be operated without any hassle, and they offer maximum protection against dirt. Star Cassette: It’s mounted using end supports allowing the system to be attached to any material. It’s ideal for the coastal applications. High Lights Of Folding Arm Awnings! They are available in different sorts of fabric colours and the durable frames enrich the design of your outdoor space. With the striking colours to beautifully match any area, Folding arm awnings are a practical and trendy way to enhance your outdoor space. Folding arm awnings not only enhances your outdoor space but also offers reliability and ease of maintenance. Nowadays, Retractable awnings prices are affordable. Fully Automated And Easy To Operate! Folding arm retractable awnings are simple to operate. You may have heard about the motorised awnings which can be extended or retracted with the help of a button. But, did you know that the retractable awnings can also be fixed with the help of automatic sensors? Yes! Awnings can be retracted or extended depending on the movement, wind or sun sensors. They can also be linked to a smart-home product which allows you to access your home’s lighting, audio system, temperature and much more! Retractable awnings are not only used over your windows and entrances they can also be used to protect your pool area, car parking or to create an outdoor dining or entertaining space. 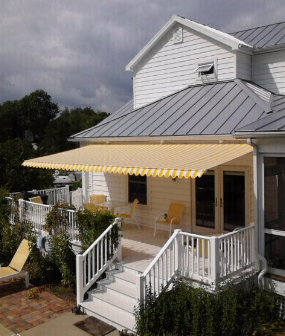 Folding arm awnings protect you from the harmful rays of the sun. Unlike fixed awnings, folding arm awnings are fully retractable, so they can be completely retracted when not in use. Some other benefits of folded arm awnings are: they can be used to cover huge areas, can be used as a cooking space, they reduce the heat inside your home. Thus, install the retractable awning system and experience its style and flexibility!